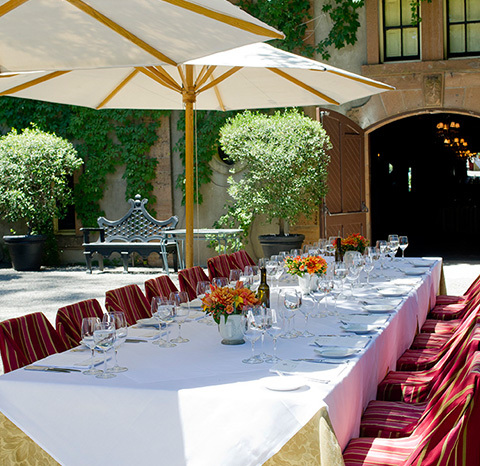 Adjacent to the South Barrel Room, the Chateau Terrace is reminiscent of an Italian piazza. 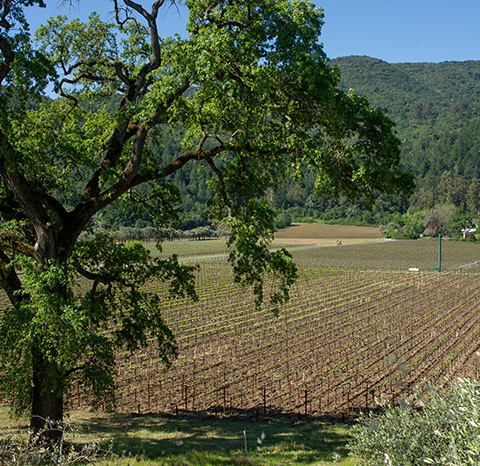 Nestled between a small olive orchard and overlooking views of the vineyards, the Terrace is our favorite locale for an alfresco luncheon and also serves as an excellent after dinner lounge, with Italian string lights and Parisian café furniture. Tenting Available.